Applications for the 3rd edition of Artists and Designers in Residence Programme are open! Once again the Convento de S. Francisco da Cidade becomes a meeting place for artists from all over the world, a space of artistic education, knowledge sharing, transdisciplinary work that promotes the (re)encounter between different cultures. The activity takes place between August 27th and September 14th at Belas-Artes Lisboa. 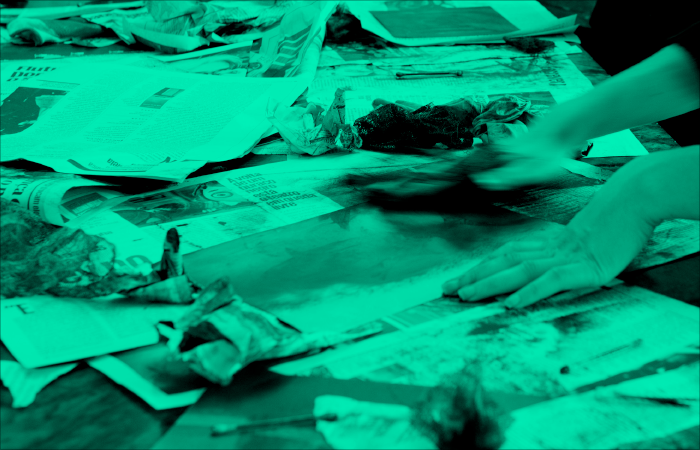 During the project resident artists will have the opportunity of participate in the various offered courses of Engraving and Engraving Installation, Sculpture, Digital Production and Photography/Multimedia. They will share a work studio with other resident artists and use, with due follow-up of technicians, the workshops available for development of their projects. Besides the activities planned by Belas-Artes, this edition’s partners — Câmara Municipal de Lisboa, EGEAC e Galeria de Arte Urbana (GAU) — have arranged free entrance to all resident artists to some of the most notable cultural institutions at Lisbon and some special visits in territories with great street art influence. APPLICATIONS ARE OPEN TILL 15TH OF MAY 2018. To apply please read carefully the programme, general regulation and the instructions to use the platform FÉNIX. Note: If the candidate is not selected the application fee will be reimbursed in full. HOW TO PERFORM THE ONLINE REGISTRATION IN ARTISTS AND DESIGNERS IN RESIDENCE? Application to Artists and Designers in Residence is carried out exclusively online and through the FÉNIX platform. Before making your online application please read the instructions below. If you have any additional questions or doubts, please contact the Communication and Image office of our Faculty. (COMUNICACAO@BELASARTES.ULISBOA.PT; +351 213 252 114/73). 1. To make your online application you first need to access the FENIX platform and authenticate with the data of your CAMPUS @ ULISBOA account. If you have lost access to your CAMPUS @ ULISBOA account, you can make your recovery HERE. 2. If you have not attended any course (Bachelor, Graduate, Masters or PHD) at the school of Fine Arts and therefore have no CAMPUS @ ULISBOA account, you must necessarily carry out a pre-registration in the FENIX platform HERE. 3. NOTE: there have been some problems in sending messages to the completion of pre-registration and for addresses of the following domains: @ NETCABO.PT; @ HOTMAIL.COM; @ VODAFONE.PT. As the reason for the delivery failure is unknown to ULisboa, if your email belongs to one of these domains, we must warn to the fact that we cannot guarantee that notifications of the application process are delivered on time. As a result, and if you are using an email address with one of these domains, we can only suggest that you sign up with an @GMAIL.COM. 4. After entering the application, you must select the “CANDIDATURAS” tab. Then, you should register your application by choosing the “ARTISTAS E DESIGNERS EM RESIDÊNCIA” option, and according to yours specific application situation (Belas-Artes students or alumni, international artists/students or national artists/students). After these steps, you should finish by filling in the requested data available in the electronic form. 5. The online application will only become valid after payment of the respective registration fee, and and ATM reference shall be provided for the purpose of payment. If the payment is not made until the specified date, the process is terminated and your registration loses validity. 6. Payment is exclusively made through the generated ATM references and cannot be done either by bank transfer or directly at our services in Belas-Artes. 7. ERRORS OR OMISSIONS DURING THE FILLING OF THE ELECTRONIC APPLICATION FORM OR THE REGISTRATION PROCESS ARE THE SOLE RESPONSIBILITY OF THE CANDIDATE.